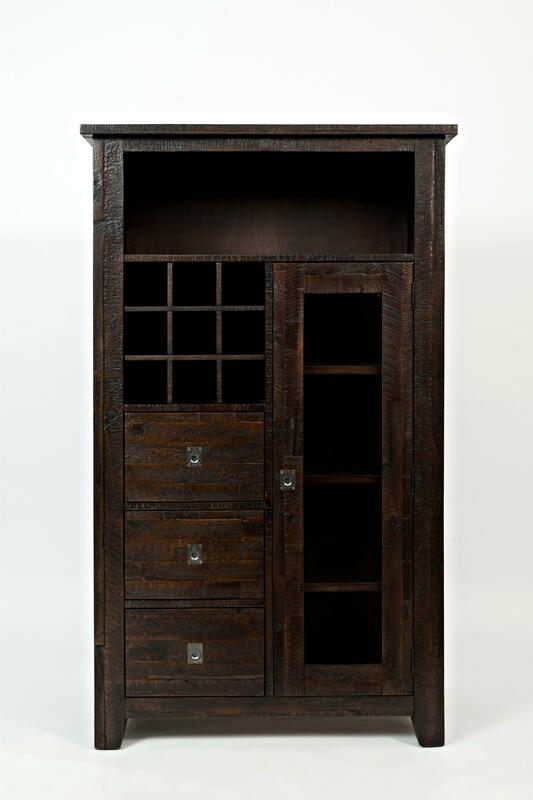 The Kona Grove Wine Pantry by Jofran at HomeWorld Furniture in the Hawaii, Oahu, Hilo, Kona, Maui area. Product availability may vary. Contact us for the most current availability on this product. Storage Holds 9 Standard Bottles. Three Drawers: 11.5"W x 13"D x 6"H. Five fixed shelves behind one cabinet door. Middle Three Shelves: 13.5"W x 15"D x 7"H. Top and Bottom Shelf: 13.5"W x 15"D x 9"H. Top Opening: 28"W x 16"D x 10"H.